Discover and develop your voice by focusing your English language and literature studies in creative writing. You’ll start with a broad introductory course and work your way up to specialized and advanced courses as you explore a variety of genres—fiction, nonfiction, poetry, playwriting, screenwriting, radio/storytelling—in a collaborative workshop environment. Your creative work culminates in a capstone project, which could involve crafting an online literary journal, judging a national writing contest or completing an honors thesis and a public reading.  Why study creative writing at Gordon? Gordon’s small class size means that your professors get to know you—and your writing—well. You’ll receive plenty of feedback through faculty and peer reviews in a close-knit setting. And you’ll have opportunities to interact with emerging and established writers through our Princemere Writers Series. Gordon’s 450-acre wooded campus is an inspiring setting for the study and production of writing in the tradition of New England literary giants, and our proximity to Boston affords you access to readings, conferences, festivals and writing seminars in Boston and around the North Shore. What careers can I pursue with a creative writing concentration (English major)? Annual Princemere Poetry Prize, a national poetry competition hosted by Gordon’s English Department. You can combine creative writing with almost any other area of study. Common pairings include communication arts, theatre arts and art.